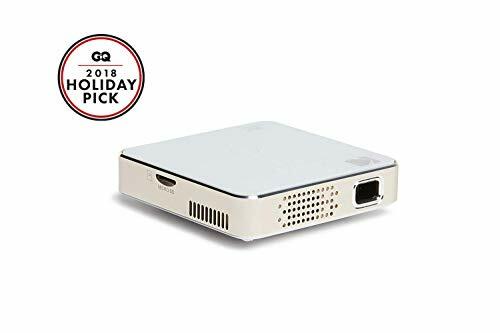 Today, business professionals often need to move from one location to another to offer a presentation, and in such moments, best cheap portable projectors comes out to be handy. Like laptop, tablets, and smartphones, portable projectors are easy to carry in a bag. With a weight of around 0.5 to 8 pounds, the limitations of having someone to help you carry such bulky utilities are lifted up. 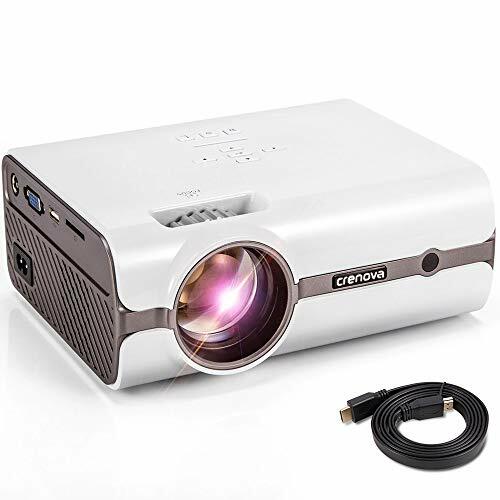 In fact, when you move out and look for the best cheap portable projectors, you may come across the projectors that can even fit in a pocket, but that does not mean they are not good enough to deliver good quality. 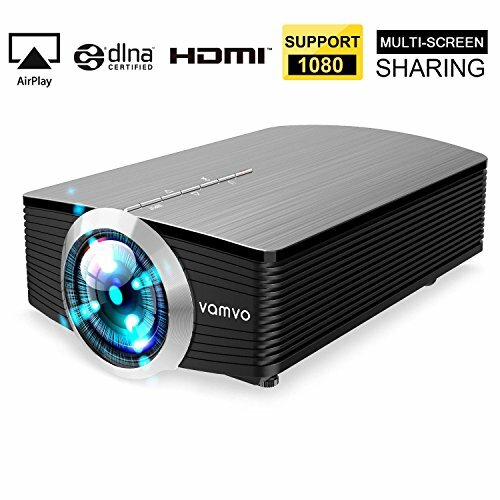 When you are looking for the best cheap portable projectors then you should look for a few things that are must to make a presentation impressive. And, the top of all features is the contrast ratio, brightness, and resolutions; higher the better. Other features you should look for are the connectivity like wireless connectivity, USB port, VGA ports, and even a few will give you HDMI options. As they are portable projectors, internal batteries, speakers, and internal memory with SD cards support shall be there as well. So, look for these features and make a decision depending upon where and how you will be using the projector. Portability has gradually become a trait in demand because the people need more than just picture quality. And for demands like these, we compiled a list of best portable projectors which are cheap as well. 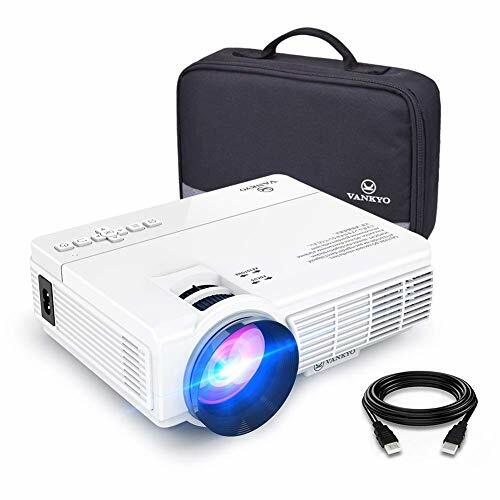 Among the above five best cheap portable projectors, the one which offers the highest resolution, is the Hausbell LED Projector with a native resolution of 800 x 600 and support up to 1920 x 1080. It is also the only LED projector in this category which is quite efficient in utilizing power. 1200 Lumens of brightness offered by it, can be considered satisfactory, and is greatly balanced by a contrast ratio of 10000:1. Connectivity with all the advanced devices like Gaming consoles, HDMI, USB, AV, VGA, Laptop and much more are some more of its pros. 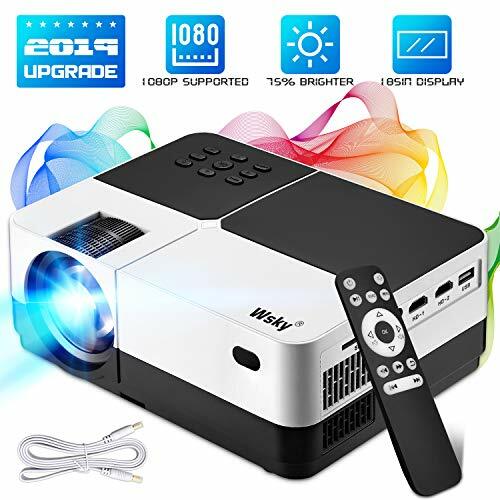 With similar connectivity options and almost the same picture quality, you have Elephas LED Mini Projector and Meyoung Portable Projector, to choose from. Both have a brightness of 1200 Lumens and an image size of 30-150”. The native resolution is also the same i.e 800 x 480p. Coming to how these two differ is that the Elephas support 16:10 aspect ratio which can be termed good for presentations and official work, while the Meyoung has truly cinematic 16:9 aspect ratio. If you value Lumen count the most, Abdtech LCD Portable projector should be an easy pick for you. With a powerful lumen count of 2600ANSI and a Contrast ratio of 1000:1, the picture output is pretty sharp and prominent even in dim light. Additionally, it offers the biggest screen size of 32”-200”, and supports up to 1080p resolution. Connectivity options are also vast and just as abundant as the others on the list. An average, low cost projector on the list is the XINDA LCD LED projector. Although it offers a decent 1000ANSI Lumen count, the video output is pretty decent and has a contrast ratio of 800:1. The LED lamp is quite efficient and goes on for at least 20000 hours, as claimed by the brand.